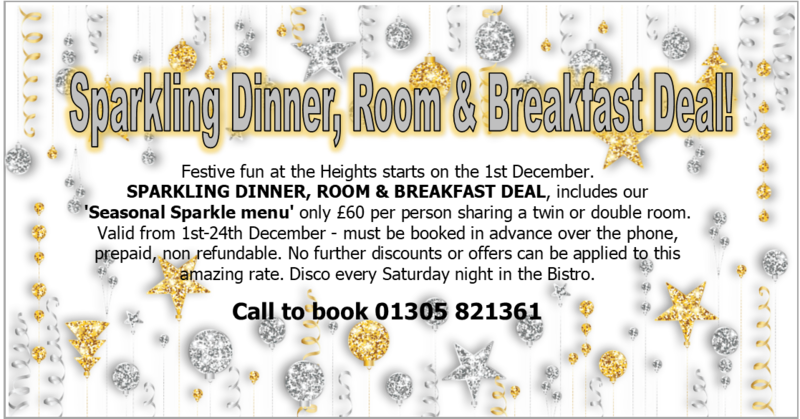 Seasonal Sparkle Menus 2019 menus coming soon! Enjoy our ‘Seasonal Sparkle’ menu at lunch or dinner. The delicious festive menu is on offer throughout December. Call to book your table. Saturday nights we have a disco in the bistro to enjoy after your dining. With our main courses from only £12 this is a great cost effective way to celebrate with your friends, family & colleagues. Christmas Day Luncheon £80 per person, book early, full non refundable pre payment required. Boxing Day Lunch £35 per person, book early, £5 per person deposit required. 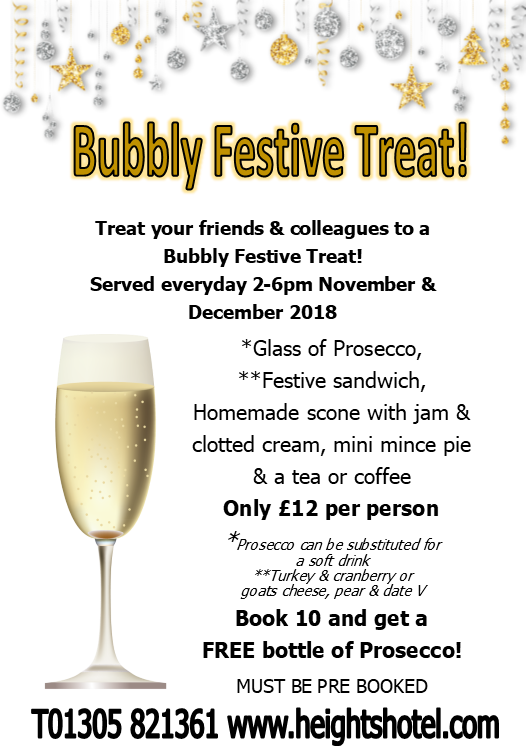 Please click any of the buttons below to view each Festive menu in PDF format. We recommend calling to book your table during the busy Festive season.